La XB-14 a été conçue pour de nombreuses applications allant de la petite diffusion radio et internet, jusqu’aux grands studios avec plusieurs régies, aux radios locales, en hôpital, en université etc. The XB-14’s two stage pre-amp design, offers an expansive and controlled gain range (69dB). Most of the gain comes from the first stage, so unwanted noise is kept to a minimum, and the second stage is padless, with line level signals simply plugged in using the input jack socket, which means lower noise when using the line input. The XB-14 is equipped with a 3-band equaliser circuit on each mono input and a 2-band EQ on the Telco and stereo channels. The frequency and response of each has been carefully chosen to give the maximum performance when using the EQ on a variety of sources. XB-14 has a single Auxiliary bus that can be used for external processing, effects, recording or auditioning. 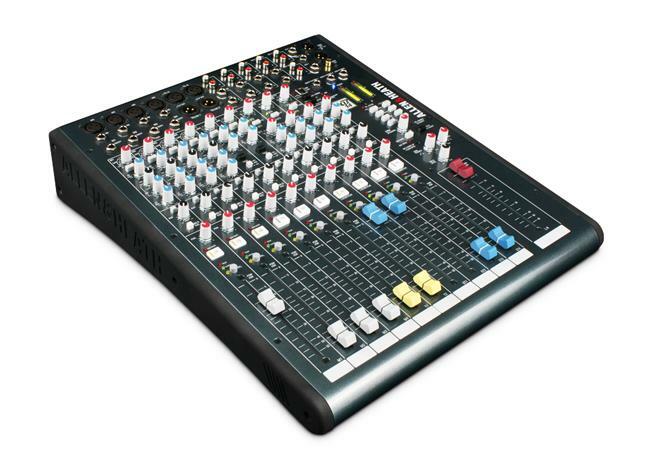 A separate stereo mix bus is provided for recording an independent mix to the main program mix, or creating a clean feed source with selected channels. The mono mic/line channels have fader start logic switching, enabling them to control external equipment or automatically mute the speaker outputs to prevent acoustic feedback in localised or self operated applications. 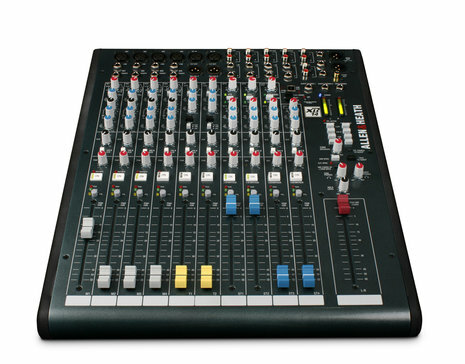 The stereo channels have ‘start & cue’ logic outputs to connect to external equipment such as CD players. There are also options to mute the mono inputs remotely using an external “cough” switch or similar. Getting audio to and from a computer easily is essential for music and broadcast production, so the XB-14 is super-flexible and super-easy ! Just plug in a USB lead and select the USB routing to enable quality audio to and from your PC or Mac. 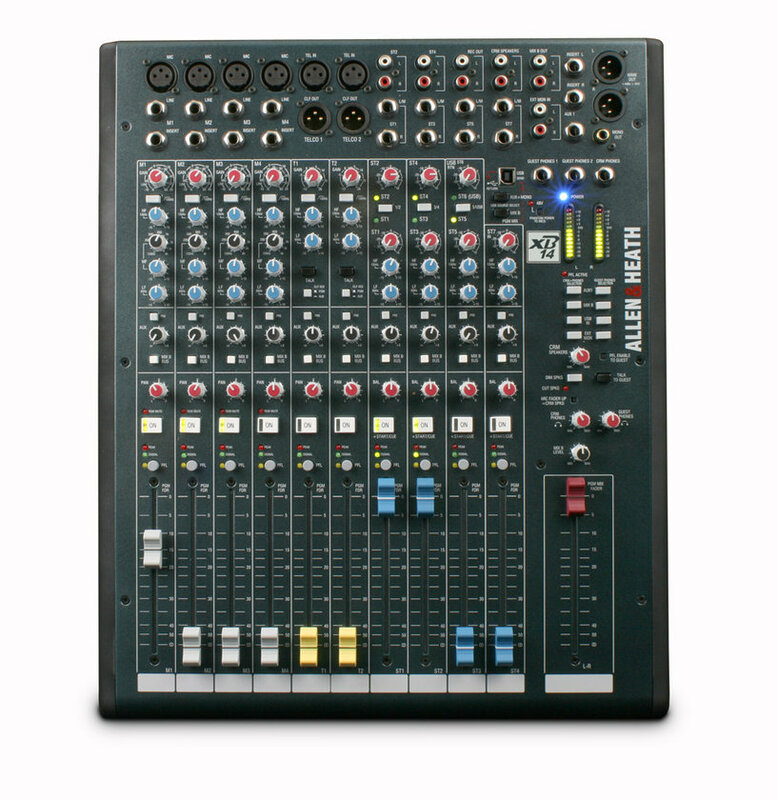 Separate monitor mixes can be created for operator, guests or presenter so the engineer can check levels and cue sources while the presenter or guest can listen to a different source. The engineer/producer can communicate to the studio using the ‘Talk’ feature, or off-air to telephone callers.